In 1984, Pope St. John Paul II saw a crisis in the sacrament of reconciliation and addressed it in his letter Apostolic Exhortation Reconciliation and Penance. Later, in 2002, Pope St. John Paul II, had the insight to see the Church needed to revitalize this sacrament to stop a great downfall in the faith. In his Apostolic Letter “Misericordia Dei“, the pope gave instructions on how rejuvenate the sacrament which had been suffering from neglect and abandonment. Even the few who participate in the sacrament show little signs of having true contrition since they lack a true resolve to amend the sins they have just confessed from simply repeating the same sins over and over again. Without the forgiveness of each and every one of our sins, we are damned. The Pope reiterated the definition of salvation as being the “redemption from sin” (cf. MD, 2), and how our Lord gave priests the power to save fallen souls through the grace dispensed in the sacrament of reconciliation. Yet even today, the souls still are not being saved and flocks of people have left the Church. We are doing something very wrong. All priests of God’s holy Church have an incredible gift to give each parishioner: forgiveness of the sins if they have at least imperfection contrition for their sins, by the merits of our Lord, through the sacrament of reconciliation. If imperfect contrition hasn’t yet to be obtained, as long as there is some desire to stop the sin, this sacrament still sends fantastic grace to help move soul’s to obtain the contrition needed to accept forgiveness and then into perfect contrition for the salvation of their souls. There is nothing more important than saving the souls of God’s people. Everything we do is in vain if we can’t prevent God’s children from dying with unrepentant mortal sin on their soul. Truly loving each person is realized by showing them how to obtain the gift of eternal life. Nothing else can be of greater importance. Even the Holy Eucharist cannot save the soul of a man who has broken his relationship with Christ. The sacrament of reconciliation is the only ordinary means to bring purification to the soul. Outside of growing into perfect contrition, this sacrament restores our souls back into sanctifying grace–even if only for a moment and sends us unspeakable grace to help us achieve and maintain a saving faith for the salvation of our souls. We need this sacrament. For some reason, most of the Churches did not implement the pope’s requests. Now as a result, the Church is suffering, with most of its members abandoning the Church living spiritually dead in their sins. Such desertion is a fruit of seriously grave sin. Without sanctifying grace, from unreconciled mortal sin, someone becomes very confused as to what their correct priorities should be. God and the Church are quickly forgotten and countless excuses are made as to why they shouldn’t go to Mass. The people didn’t desert their faith because of any teachings of the Church…that is Satan’s rhetoric. The teachings of the Church are the truth and only the truth purifies and saves. They left strictly from a lack of grace (which is derived from sin). WHERE IS THE SANCTIFYING GRACE? Most aren’t concerned with salvation. The sin of presumption is out of control. Few are striving for a saving faith since most believe just some believe in Christ saves them. Because of the lack of sanctifying grace, and sin in general, there is a great loss of religious vocations, a lack of participation in Church ministries, a decrease in donations to the Church, and a countless number of people have left the Church. 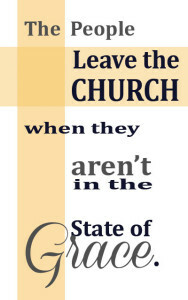 Shockingly, a recent survey from CARA indicated 70 – 80% of the Catholics don’t even attend church anymore. The loss of salvation of souls is devastating especially since the few Catholics that do attend church rarely receive the sacrament of reconciliation either. Only a small handful of the faithful receive this lifesaving sacrament properly, which floods their soul with grace and enlightens them unto the path of holiness so they can keep God’s mercy in their souls. Sadly, many of those few, who are receiving reconciliation, don’t fully understand its blessings. Almost everyone needs to be educated or re-educated about the blessings that come from confession and how to obtain them, and how necessary the sacrament is for salvation. When a parish is full of devout faithful servants of God, that parish is full of people who want the sacraments: that parish’s daily Masses are booming and its confessionals are full. When there is a halt in the sacraments, there is a halt in growth in holiness. It is in the frequenting of the sacraments that we are brought to holiness. Like the saints, the faithful crave whatever will bring them closer to God, and since sin pushes people away from God, and the sacrament of reconciliation eradicates sin, God’s holy children greatly desire confession and its graces. Since on average approximately 1% or less of the those attending Mass receive the sacrament of penance regularly. For example, on a weekly basis, if 1,500 Communion Hosts are distributed, but only fifteen reconciliations are made, then a scant 1% of the parish was purified before receiving the Eucharist– weekly: 1,500 Eucharist + 15 Reconciliations = 1% Souls Purified– see “Why become a purified soul.”–, There is a real crisis with reconciliation. This is the reality of our Church. We must do more. The saints hunger for the sacraments and understand their blessings. We should follow their examples. St. John Paul II received reconciliation daily and St. Camillus de Lellis never celebrated Holy Mass without first going to confession. Even St. Alphonsus said in, “The Ways of Salvation and of Perfection”, it is necessary [to grow in holiness] to frequent the sacraments by going to confession “no less than twice or at least once a week.” The saints understand, even if the faithful aren’t spiritually dead from their mortal sins, they are missing the wonderful growth in holiness this sacrament brings with frequently receiving its blessings. Pope John Paul II isn’t suggesting everyone go to confession daily. Surely monthly reconciliation or reconciliation promptly after the possibility of committing a great mortal sin (after the mortal sins are learned) would be enough to transform the Church. If someone attends confession frequently and doesn’t truly know their sins or have a desire to work hard to change their wrong ways to avoid recommitting their sins, then frequenting confession won’t transform their soul. The pope describes the sacrament of reconciliation as more than merely attending penance. It is about being reconciled with God by abolishing one’s sins through awareness, sorrow and change. (cf. Misericordia Dei 7) Obviously a person needs to go to confession to be forgiven of serious sin and receive grace. But if a soul isn’t educated about the consequences of sin in his daily and eternal life and is simply going to confession to ask for forgiveness because they “have to,” or they think they can “con” God by asking for forgiveness when they aren’t truly sorry for anything, then the true contrition (actual sorrow – perfect or imperfect contrition)–a hate for one’s sins and resolution to sin no more (strive for perfection) (cf. CCC #1451)– that is necessary to receive sanctifying grace and all the blessing the sacrament provides. No matter how frequently a person attends confession, if he doesn’t hate his sins and turns a blind eye to his sins or has no desire to work hard to change his ways and avoid recommitting those sins, even daily reconciliation won’t transform his soul. The person who doesn’t desire to change his ways—that is, to actually try to avoid the sins enslaving him (cf. Jn 8:34)—doesn’t in fact possess any actual sorrow (isn’t forgiven in confession) and will simply leave the confessional to return to a life of sin, thus stifling any growth towards God that might have come from the sacrament. This is what most people suffer from, as most have a lack of desire to truly love God–to work towards becoming a saint (someone who doesn’t desire to offend God any more). People must work hard to sin no more because their sins offend their God whom they should love with all of their heart.Encouraging people, through authentic contrition, to truly change their lives to avoid sin—out of love for God, for a life of joy, and for an eternity of bliss—is vital to true reconciliation (cf. CCC 1450-1453). Countless people don’t know what mortal sins are (see mortal sins as stated in the Bible) nor believe they must be confessed with actual sorrow to a priest for forgiveness to be given and eternity in heaven granted. This truth MUST be taught to the people. Along with educating the people, the pope stated, in the Misericordia Dei, the Church needs to make reconciliation convenient to the faithful. Satan is looking for any excuse to distract and deter a potential penitent from obtaining reconciliation with our Lord. Making the assumption that everyone is comfortable with scheduling an appointment for a confession or that everyone is available on Saturday is a harmful assumption to make, resulting in reconciliation being almost impossible for many wanting penitents. This can lead to many souls remaining in sin and suffering, their growth in holiness stunted, and for some, since there was no reconciliation with God, damning their soul for eternity. What a horrible thought! Not one soul should be lost. We can do more. What greater goal could a parish have than offering more opportunities to partake in the sacrament of reconciliation, educating the parishioners to its need, and improving the quality of direction (advice) given to the penitent for the salvation of their souls. Let’s make confession a top priority in parish life. Parishioners need to hear its necessity preached from the pulpit. There is a deep longing to be reconciled with God in their soul. Let’s bring that desire to the surface and unite God to His children. Confession is the sole ordinary means through which the faithful, with grave sin, can be reconciled with God and the Church. It’s the only ordinary source of salvation for those with mortal sin.(Can. 960) Knowing this reality, what can be of greater importance? Churches should periodically look for ways to improve the confession schedule, style and settings to make it convenient and comfortable for all the faithful to confess their sins giving them the guidance they need to make resolutions to sin no more. 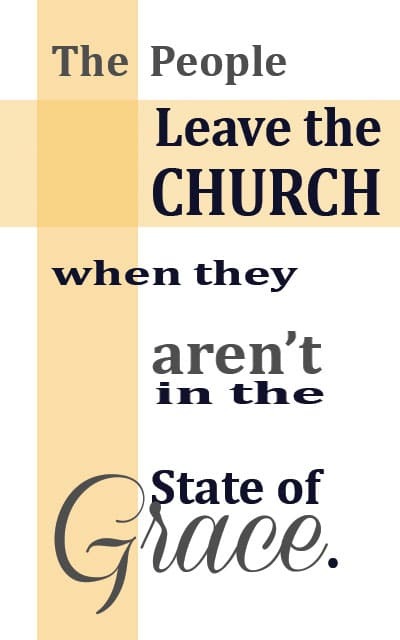 “Look for ways to advertise and educate parishioners about confession while improving the sacrament’s schedule to make it more convenient for the people and improve the ways in which priests can help guide the penitent away from sin (see How to be a Confessor like the Saints), will reduce the bombarding distractions from Satan in their lives. 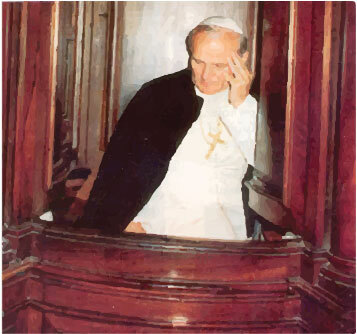 “Confession should be especially available before Masses, and even during Mass if there are other priests available, in order to meet the needs of the faithful” – Pope St. John Paul II (to ensure that souls are purified before receiving the Eucharist) since confession is the only ordinary means of salvation for those dead in their sins. Since Satan is looking for any means to prevent God’s children from becoming reconciled, the most convenient means needs to be made available. The penitent should perform a careful examination of conscience. Without a proper examination of conscience (see examination of conscience), which most don’t know how to perform, the penitent won’t know the sins they are needing to rid in their life. Don’t prevent the penitent from confessing all of his mortal sins since the confession of the kind and number is necessary for absolution. Since some penitents have many sins to confess, ample time and a patient confessor are necessary in order for these penitents to receive proper guidance away from their sins. Encourage reconciliation since it is essential to the life of the church; this sacrament will help the faithful draw from the fountain of divine mercy which flows unceasingly from the sacrament of reconciliation. Since this decree is so vital to the unity of the Body of Christ, everyone, especially the leaders of the Church, should see to it that these changes and improvements are implemented. 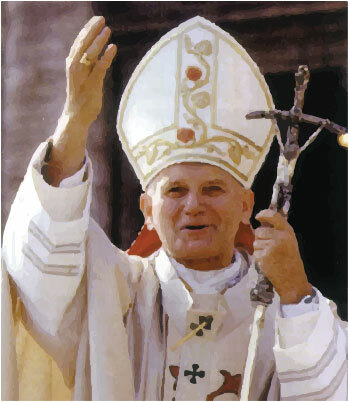 Please implement the necessary changes Pope St. John Paul II requested to save the souls of God’s children and rebuild our church. Of course since most of Churches members have left the church, we will have to bring new evangilization into the church to draw them back. Visit www.The3oclockChallenge.com for great ways to invite prayer–the people can do–back into their lives, and visit www.LiftingOurValues.com for resources to teach and re-teach the Catechism to bring God’s children back into the church. The church and the people are hurting because of the lack of sanctifying grace. Educate the people daily about the NEED and blessings from reconciliation. Make confession available after work on the weekdays and on Sundays before mass.